Utility Patents are the oldest, most common patents in the United States. In 2010 alone, over seventeen times more utility patents were issued than all other types combined. 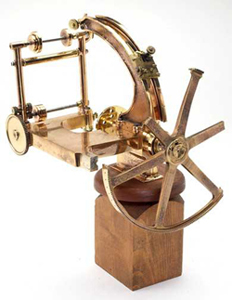 The invention must be distinct from abstract ideas or general laws of nature (ideas like this would be considered “non-statutory” and likewise “non-patentable”). Technically speaking, the first utility patent was issued July 30, 1790 to Samuel Hopkins for the Making of Pot Ash. The patent was signed by George Washington himself. His was number X1 of over 9000 “X-Patents” issued by the original Patent Board under the authority of the Patent Act of 1790. Originally cataloged by date, it wasn’t until the recovery efforts after the Great Patent Fire of 1836 that these documents were serialized with the telltale “X” added before their number. The Patent Law of 1836 marked the beginning of numeric serialization for all subsequent awards. 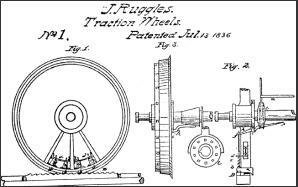 Patent #1 under the new system was awarded to Senator John Ruggles of Maine for an improvement to locomotive engines. Ruggles was also instrumental in making the law itself. As of 1995, Utility Patents are valid for 20 years from the application date, assuming any applicable maintenance fees have been paid. Today’s patent law may seem more complex than the original Patent Act, but the spirit of offering protection for new and unique innovations remains intact. In fact, it is that concept that carries over into all subsequent expansions of the Law including protection for ornamental designs of objects as well as protection for “invented” varieties of plants. ← Invention Geek – Aspirin?